Paul McCarver, CEO and founder of Delta T Equipment, recently announced that the Houston-based HVAC distributorship has entered into an agreement with equipment manufacturer Yaskawa to sell their products to the South Texas commercial HVAC market. 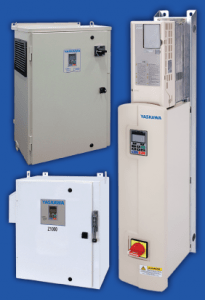 Yaskawa is the world’s largest manufacturer of AC drives and motion control products, including adjustable frequency drives. Delta T Equipment will market Yaskawa adjustable frequency drives (AFDs) specifically designed for the commercial HVAC market. In both 2012 and 2018 Delta T Equipment was a finalist in Houston Business Journal’s “Houston Fast 100,” a list of Houston’s fastest growing companies. Four of the past eight years, it has also appeared on Inc. Magazine’s “Inc. 5000” list of fastest growing private companies in America. “It is outstanding relationships with premier partners like Yaskawa that keep us at the top of our game,” added McCarver. For more information about Delta T Equipment, call 281-745-9060 or visit www.DeltaTEquipment.com. Delta T Equipment, a customer focused HVAC/plumbing manufacturer’s representative firm offering an excellent suite of products to the HVAC/plumbing industry, has proudly served the Southeast Texas market for over 12 years. Delta T’s robust sales team features industry experts who strive to bring innovative ideas and quality solutions to the consulting engineer, contractor and end user.